Carrollton residents Michael and Andrea Stone have committed to a five-year sponsorship of the University of West Georgia Marching Band through Milestone Investment Management, a financial management firm Michael founded. University of West Georgia students in the UWG Marching Band face a difficult choice as they progress closer toward graduation. Do these upperclassmen stay in the band – sacrificing Saturdays in the fall and countless hours through the week for rehearsal – or leave the band to focus on their more rigorous course loads and part-time jobs that allow them to stay in school? 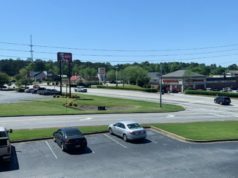 Now, thanks to a sponsorship launched by Carrollton residents Michael and Andrea Stone, fewer members of “The Sound That Lights the South” will face that dilemma. The Stones – through Milestone Investment Management LLC, a Carrollton-based financial management firm Michael founded – have committed to a five-year sponsorship of the UWG Marching Band. Funds from the sponsorship will support students by providing scholarships for their academic classes. These scholarships will alleviate some of the burden on juniors and seniors to find time for outside employment in addition to band activities – on top of their studies. Dr. Cale Self, associate director of bands at UWG and director of the UWG Marching Band, said approximately 50 percent of his members have a part-time job outside their academic work and the band. 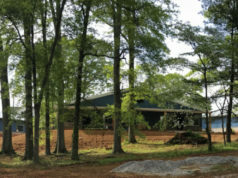 The Stones have been involved in the arts in the Carrollton community in a number of ways over the past two decades, with Michael serving on the board of directors for Carroll Symphony Orchestra for 15 years and the couple establishing the Michael and Andrea Stone Visiting Artist Series in the College of Arts and Humanities at UWG. Self and Dr. Josh Byrd, director of bands at UWG, are in their ninth year of working together at the university. That’s the longest tenure of a director and associate director in UWG’s history. Byrd said retention through a student’s academic career at UWG has been a challenge since he joined the university in 2011. Stone reiterated the importance of a high number of seasoned band members in an ensemble, saying leadership is best served through experience. Self said graduation rates for band students are noticeably higher than students who aren’t engaged in campus organizations like the UWG Marching Band. That’s something Stone has seen firsthand in his loved ones’ lives, with his eldest daughter and his wife’s youngest son graduating from Clemson University and the University of Mississippi, respectively. “The discipline they learned by being involved with the marching band at their schools went a long way toward ensuring they graduated on time,” Stone said. 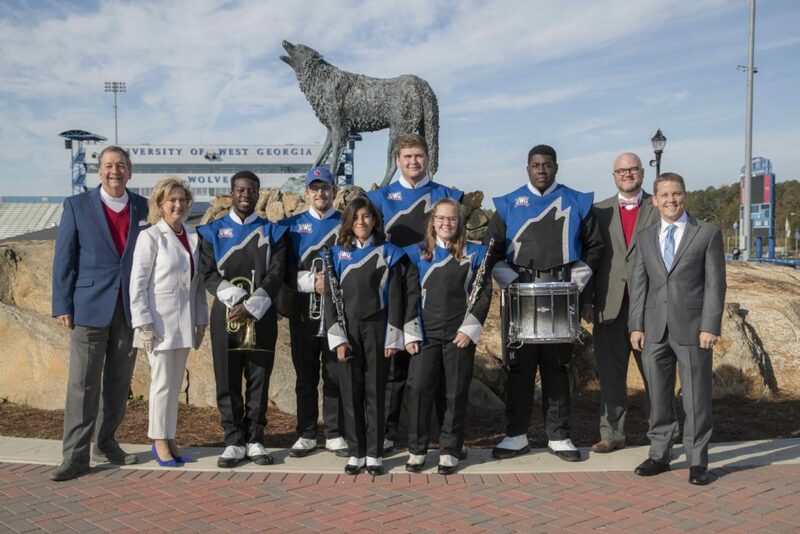 Now, Byrd and Self’s goal is to increase the UWG Marching Band membership from 106 students – its current enrollment – to 175 by 2022. Byrd and Self hope the Stones’ display of generosity will serve as a model for other entities to support UWG band programs in other ways. Michael Stone agrees.